The National Archives aims to make Instagram more patriotic with an Independence Day-themed photo challenge. The Archives team has challenged fans and followers to take a number of July 4th pics. First, they’ve invited them to make their selfies more patriotic with the #ColonialSelfie challenge. Participants are asked to snap a shot of themselves with a founding father or, if Ben Franklin isn’t around, snap a shot of themselves with something that was in fashion in 1776. Fans that would rather not take a selfie can participate in #ArchivesJuly4 #BINGO. Participants are asked to take pictures of nine of 24 possible scenes. They then make them into a collage and tag them with the appropriate hashtags. Participants who submit either of these photos will have their content shared on the National Archives Instagram. 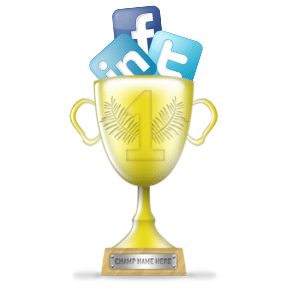 The challenge as a whole is a great way to make people aware of their social presence. It also makes an organization that might be perceived as out of touch appear more tech savvy and current. The Toronto Silent Film Festival took a similar approach by introducing the world of silent film to the world of Instagram. The Archives Instagram account also posts enough interesting content on it to keep users engaged through the rest of the year. There’s very little incentive for fans to participate. Fans have the opportunity to have their pics re-shared by the Archives accounts…but that’s pretty much it. While there might be some participants who will join in the fun regardless, when you ask for user-generated content (especially one that requires users to download a separate app to create a photo collage), users will generally expect something for their efforts. It doesn’t have to be a massive contest where the top submissions get huge prizes, but it should probably be something greater than a re-share (especially if the account potentially has fewer followers than the participant does). Find some Instagram guidance and inspiration here.